I get so excited when I see developers working as hard as they can to bring more gamers into the strategy fold since they can be extremely difficult with complex micromanagement and a need to be able to plan numerous turns ahead. A lot of gamers that I know have tried to get into one strategy title or another, only to have their interest fizzle out and die because of a complex gaming system. It is really unfortunate that this happens since the strategy genre whether you are playing single player or multiplayer is extremely rewarding. When I first caught wind of Starion Tactics on Steam a few months ago, I was both intrigued and apprehensive about the title. Developer Corncrow Games wanted to bring new blood into the strategy gaming world by creating a game that is easy to understand, easier to play, and one that incorporates bits and pieces from other genres (mainly a collectible card game style perks system) into it while still remaining true to the strategy genre. Continue on to find out more about what I found with Starion Tactics after playing a few dozen games that last anywhere from twenty minutes to two hours per game. 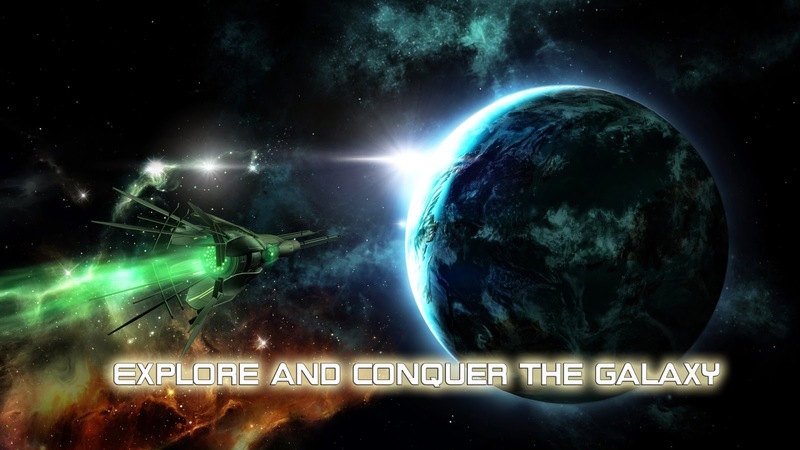 Starting right out of the gate you will notice that the game is extremely streamlined and is made to allow gamers playing solo missions or multiplayer to quickly set up a match, choose their resources, then get right into the grit of things; most strategy titles (specifically my beloved space-based 4X titles) have intricate and in-depth menu systems that you need to dig through in order to start a map. Not Starion Tactics. From the feel of the menus you can see that Corncrow Games wants you to just dive in and get your hands dirty and in simplifying your choices, makes it very easy to do so. In fact, whether you are navigating the menus or navigating the playing board, the main trend is simplicity; most actions are just a single click away and micromanaging your colonies is about as simple as they come. When you select one of your planets you will have a couple of options that will appear on a very clean UI that pops up on the planet; if you want to build a ship just click on the build icon and select a ship and move on. Simple as that. On the same topic of ease and simplicity to play, the graphics for Starion Tactics are also very simple. 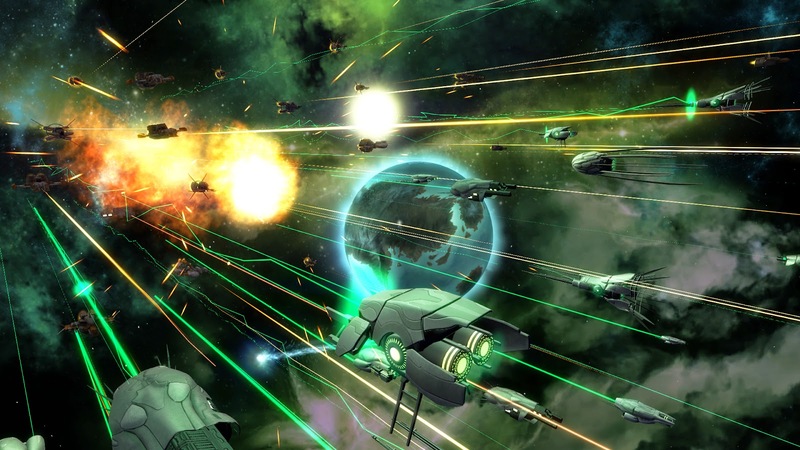 While not designed in the same graphical realm as something like Galactic Civilizations III, which is huge, has about a million 3D ship models and that is not an exaggeration, and has a level of depth that is out of this world (pun intended), where Starion Tactics wins out over some of its more robust brethren is the sheer lack of complexity in its art. I truly think that Starion Tactics would look amazing on a tablet or smart phone and those devices would have zero issues running it as I was getting some massive framerates (at one point I had sustained 400 FPS ...). The different worlds that will be seen on screen could use a little more variation, since most maps would recycle the same dozen world textures, but for (and here is that word again) simplicity's sake, fewer textures to load tends to mean less processing power that is needed. Ship designs for each of the specific races are nice, some having an extremely alien feel even though they are terran in nature while others would seem to fit right into an episode of Firefly or Battlestar Galactica. I did feel that the faction portraits could use a little work as they seemed a bit bland and did not seem to follow a specific theme. Different factions that may be a part of the United Trade Federation will have portraits that are very different and in some cases, seemingly set to fit in with the opposite factions, which breaks any sense of graphical continuity and as such it was best to just ignore the portraits and how they fit together as a whole. Normally I try to set aside an actual paragraph for audio but really there just is not much here to talk about. I have said it a hundred times and I will say it again, audio is can make or break games and that cannot be farther than the truth for strategy titles. With Starion Tactics you will find that the music lends itself to the faster game play but any sort of sound effect outside of the blips that occur when you are navigating the user interface is bland and fairly hollow. While uninteresting, ship combat audio is adequate and simply exists to have some variety in the form of laser beams and explosions which sound fine; there are no pops or static in the sound effects but there does not seem to be any life in them either. While not necessarily a new feature to the genre, Starion Tactics employs a very simple and very easy to understand card mechanic to the game. As you venture through the galaxy map and you colonize the various planets you will be awarded artifact cards. Some of these cards can be immediately sold for more credits or they can be played in combat; one of the more useful cards that I had would allow me to reduce damage taken and with my particular fashion that was crucial since they could hit hard but they could not take the hits well. Using the cards as level ups and buffs (or debuffs for enemies) added a simple level of complexity to what would normally be ho-hum combat and helped keep me engaged. 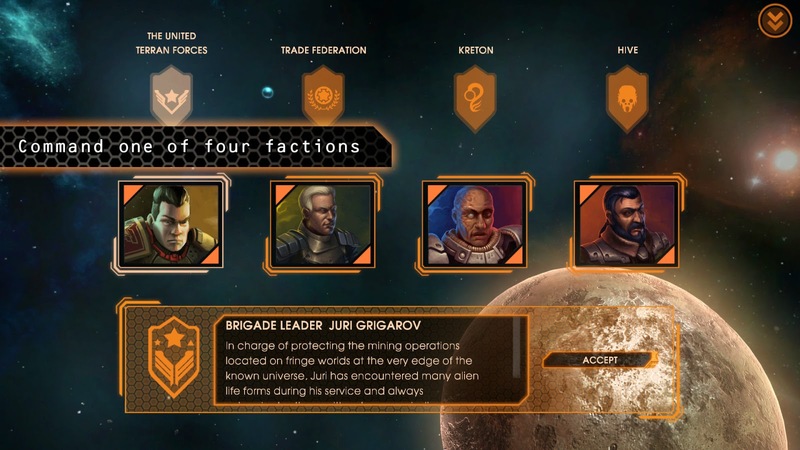 I do not know about you, but any feature that can grab a gamer's attention and hold onto it is a good feature and I feel that the addition of this card-based artifact/perk system was a real win for Starion Tactics and I honestly think that other titles like Endless Legend or even the Distant Worlds titles could make use of it; it really had a unique feel to it. Unfortunately though that is about the only thing that felt truly "unique" in terms of gameplay. Shipbuilding is limited to about a dozen ships per faction with limited customization options making some of the longer games seem a bit dull and boring. On the other hand, the streamlined unit selection and lack of over-complicated customization tools lent itself extremely well to the fast-paced ten to twenty minute games. I seemed to struggle a bit with Starion Tactics; not because it is a bad game or overly difficult, but because of expectation. One of the downsides to being in a market where nearly every genre of game is over-saturated with titles (with the sudden and wonderful reemergence of the space-based strategy title, that is especially true), is that you may have some predispositions as to how a type of computer game should be developed or presented. I ran into this a few times with Starion Tactics and the one thought that stayed constant throughout the entirety of my 30 or so hours was this ... "This game would be perfect on a tablet." Some titles simply work better on the small-ish touch screen tablets and would work brilliantly and Starion Tactics would be one of those titles. A clean, easy to navigate UI and a graphical sense that is not overly complex are two big demands for a mobile title and Starion Tactics has both. Honestly if Starion Tactics were to hit the Windows Store (for Windows Phone users like me) or the App Store/Google Play Store then it could be a runaway hit; as a PC game though, there is a bit to be desired as it actually feels like a relatively dull port from a mobile device. Seeing Starion Tactics show up on mobile devices though? That would certain change my opinion of the title so here's to hoping that Corncrow Games pushes the title out to mobile devices, a market that sorely needs excellent strategy titles.